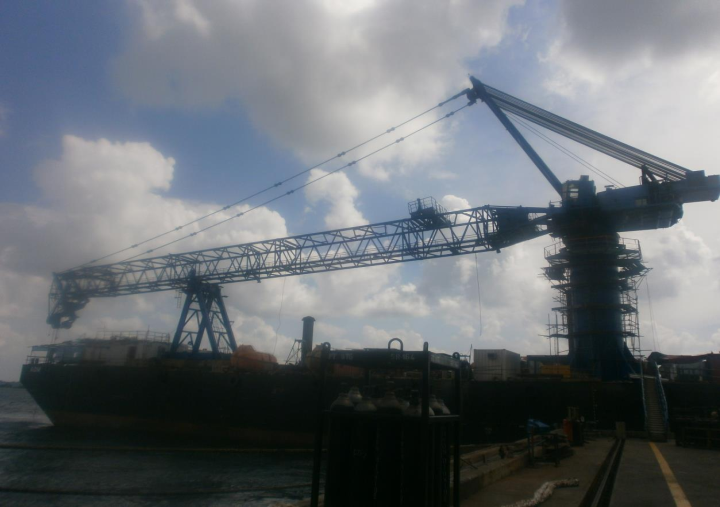 Client, who were a public listed Singapore shipyard, had bought a used 1982 500T Liebherr LG 1600 crane for the purposes of constructing a floating crane barge. The crane needed a complete overhaul service repair. RABUTEC was awarded the contract by the client to put the crane back into service. The client shipyard, under the supervision of Rabutec, carried out all structural repairs and refurbishment of the boom, machinery deck and etc. at its yard, whereas Rabutec was responsible for the repair and refurbishment of all the mechanical, hydraulic and electrical systems. Rabutec’s work included the complete overhaul, rebuilding and testing of all rope winches, slewing gears, hydraulic pumps and motors, as well as hook blocks and sheaves. A new Markload SLI system was also installed. The crane engine was also refurbished and dynotested. In addition, Rabutec was also responsible for class approval of the barge itself by DNV GL and this involved 2 major components. The first was that the client intended for the crane to be mounted on a new 12m high pedestal, for which Rabutec carried out design finite element analysis of such a pedestal for class approval. The second was the barge stability analysis and loading conditions and Rabutec, working with its consultant naval architect, successfully obtained class approval. 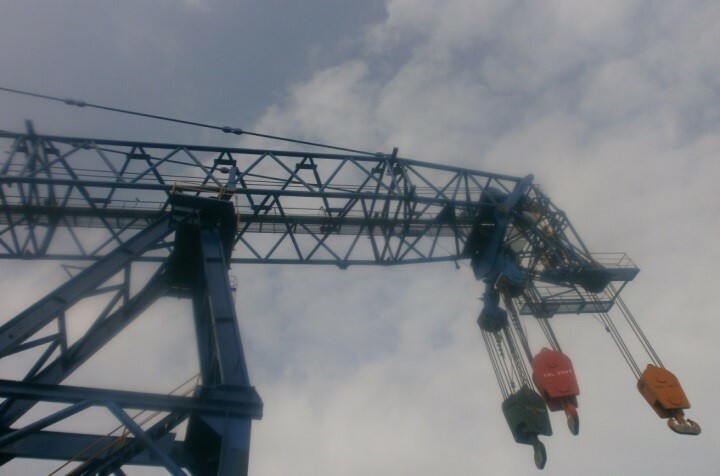 After re-assembly of the crane on the ground, the crane was installed on its new 12m high pedestal before function tested and load tested under class Lloyd’s Register. 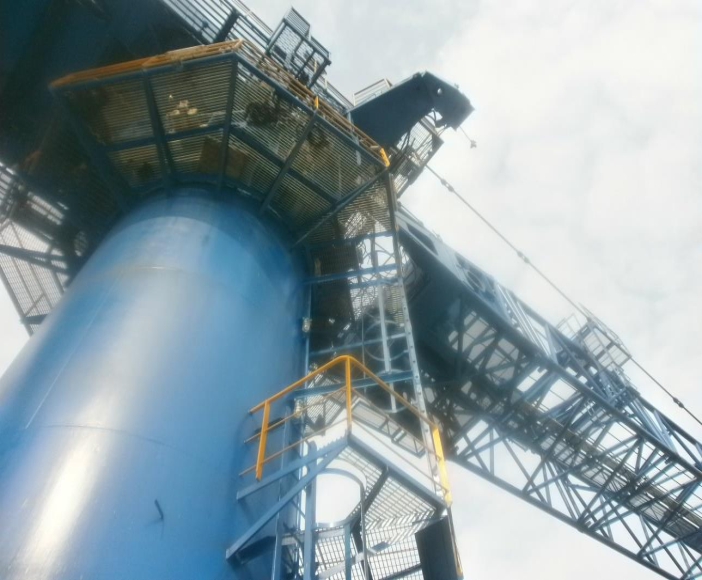 Finally, at the suggestion of Rabutec, the client carried out minor upgrade work to crane to fabricate access maintenance platforms at various parts of the crane.